Face it. Winter Break is around the corner and the cold weather is slowly freezing you into a human popsicle whenever you go outside. All you really want to do is curl up and burrow into that pile of blankets and pillows you call a bed and binge-watch an entire show (or two) on Netflix. Here is a list of the absolute best and most entertaining shows sure to keep you all cozied up in good spirits this winter season. 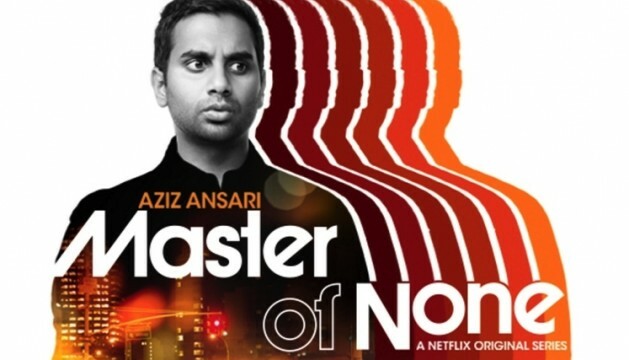 Aziz Ansari stars as Dev Shaw, a thirty-year-old actor making his way in NYC, in this Netflix Original Series. Ansari is the creator, producer, and co-writer of this ten-episode drama/comedy. This witty show focuses on the realities of the life of the aging millennial in today’s society. It also skillfully deals with issues that our society faces like racial and sexual discrimination. Ansari created a scarily accurate depiction of what it is like to live in today’s world. Comedic yet poignant, this artfully crafted show is a must-watch this Winter Break. 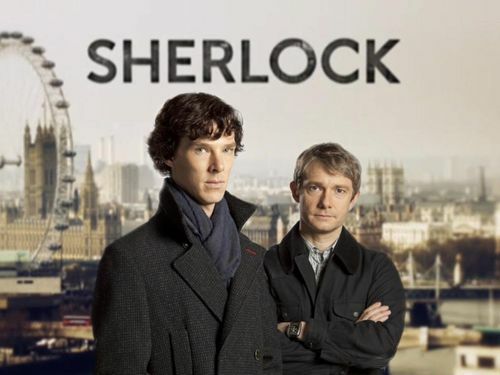 “Sherlock” is a show that features the famous sleuth Sherlock Holmes (Benedict Cumberbatch) and Dr. Watson (Martin Freeman) solving mysteries and crime in modern-day London based on Sir Arthur Conan Doyle’s original works. Streaming on Netflix and the BBC, this show is always a go-to for the serious binge-watcher. Even with episodes that run at ninety minutes long, you’ll want to keep watching. Seasons of this show are usually three episodes in length and are released years apart from each other (the last season ended in 2014), as the production of such an amazingly executed show requires a large amount of time. Although normally set in modern-day London, this winter season, the production team of “Sherlock” has created a single “winter special” episode that will be set in the Victorian era, and will premiere Jan 1 on both PBS’ Masterpiece and the BBC. This one-episode extravaganza will follow Doyle’s 1892 story “The Adventure of the Blue Carbuncle” and will serve as a buffer between the last season and the upcoming season four. This series, including the upcoming winter special, is absolutely perfect for binge-watching by yourself or with your friends and family. Mindy Kaling stars as Mindy Lahiri in this off-the-beaten path comedy. This series follows obstetrician/gynecologist Dr. Lahiri throughout her daily personal and professional fumbles as she makes her way in NYC. With already three seasons to its name and the current release of the fourth, this charming show is great for someone who wants a bit more comedy in their life. Already streaming on Hulu and FOX, this show is readily available for all of your binge-watching needs. This comedy series is one for the ages. This show, lovingly known as “Parks and Rec” by its followers, trails Leslie Knope (Amy Poehler), a midlevel bureaucrat in an Indiana Parks and Recreation department. This show is well-known for its notably talented cast, including Aziz Ansari as jokester Tom Haverford, Nick Offerman as meat-enthusiast and bureaucracy-hater Ron Swanson, Aubrey Plaza as “angel” April Ludgate, and Chris Pratt as the human-incarnation-of-a-baby-labrador Andy Dwyer. This show ran from 2009 to early 2015 and its first six seasons are streaming on Netflix with the seventh season streaming on Hulu. Yes, of course “Phineas and Ferb,”. This is one of the best animated shows that Disney has recently produced (2007-2015). This hilarious comedy and adventure-based show follows two young step-brothers Phineas Flynn (Vincent Martella) and Ferb Fletcher (Thomas Sangster) who are determined to make every day of their summer vacation fun by building amazing inventions. Their family pet, Perry the Platypus, doubles as a secret agent and battles evil in the form of Dr. Doofenshmirtz (Dan Povenmire) in almost a second plotline that often crosses over with that of Phineas and Ferb’s shenanigans. Older sister Candace Flynn (Ashley Tisdale) is always trying to “bust” her brothers by trying to convince their parents of their antics, but can never catch them in the act. ECHO readers, we know what you’re going to do today (watch “Phineas and Ferb”, of course)! This show is a thrilling and captivating melodrama that follows Annalise Keating (Viola Davis), a brilliant and charismatic professor of defense law, who teaches a class called How to Get Away With Murder. Annalise, also a criminal defense attorney, selects the most talented group of students to assist with cases at her firm alongside her employees, the trustworthy and discreet Frank Delfino (Charlie Weber) and Bonnie Winterbottom (Liza Weil). Mysteries arise that test everyone’s limits and reveal dark truths. This show delivers on entertainment, bringing a healthy dose of surprises and fun, sure to fuel all of your late-night binge-watching sessions. Catch this show on Netflix or Hulu.